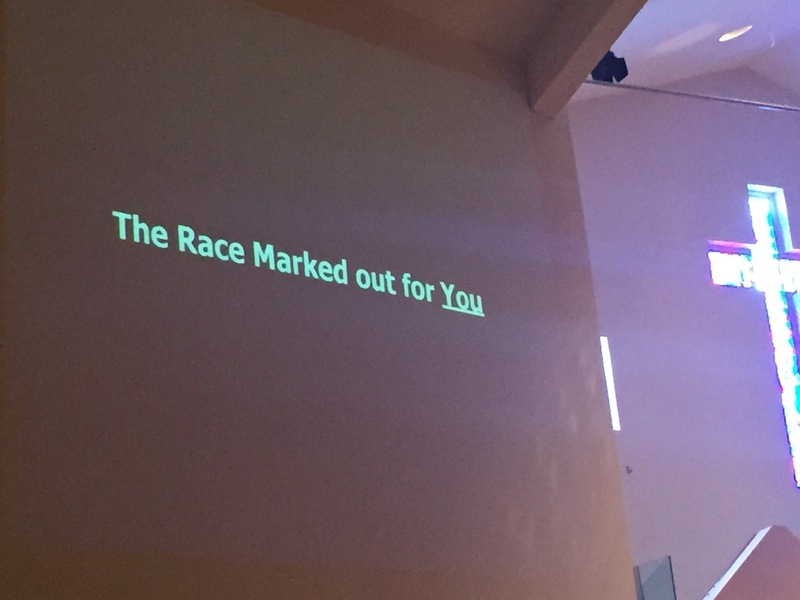 The sermon at church today was about the race marked out for you. Meaning we are all here to run our own individual race, we can’t run someone else’s race, can’t run ours the way someone else does, can’t compare our results to that of the other runners. Our journey is ours alone to walk with God and we have to listen to how He wants us to walk it. This was big for me as I have spent years trying to live my life to make others happy – even when I knew that it was causing my own soul pain and taking me away from my spiritual path. These past few months I have really felt things like up in a way that they never have before and I’m feeling like I’m walking the right path. Honestly, a lot of it has to do with my decision to not give a f*ck about all the things that used to bug me. They were all distractions from my journey and took so much time and energy away from what I need to be doing. I’m finding I make myself go to church lately even when I don’t feel like it because his sermons always seem to hit exactly what I am struggling with at that moment. I consider our decision to start attending regularly last fall one of my greatest blessings. It has opened doors and put me back on my path.